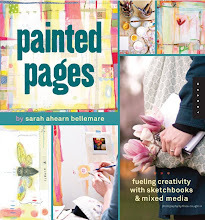 sarah ahearn bellemare: looky look! i’m so so so excited about this... i’m currently featured in (and on the cover of ! ) 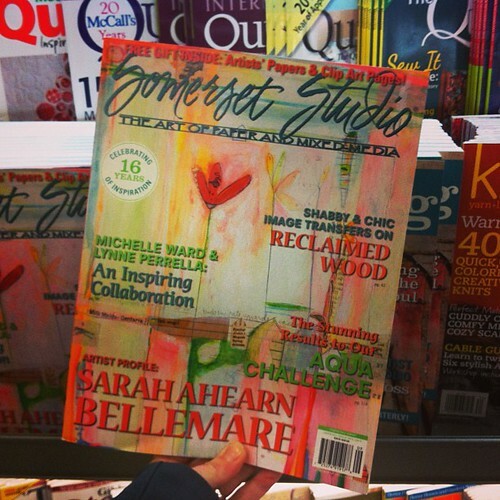 the jan/feb issue of somerset studio magazine! i will share more about this soon, along with some snapshots of the article. i’m pretty positive that i squealed out loud when i saw it at my local barnes and noble! there it was, peeking out from my favorite magazine section, front and center on the shelves! it quite a thrill, reminded me of when i came across my book for the first time! ps: if you are finding me because this article, welcome! glad to have you here! Ooooh!! Congratulations! Now I must find it. Very awesome! Congrats, Sarah! Your work is hanging proudly in my studio...keep up the good work! Yay hooray! Going to BN to check it out this weekend! So glad you are back. I missed you too...time flies when you are busy with family! Happy New Year! Congratulations! I saw your name and knew I needed this magazine!!! YAY! Congratulations,Sarah!! i want to get this magazine ;) your art is amazing. Yay!! It's fantastic, and I loved reading the article all about you!